Classic Rock. Sultry Blues. Urban Folk. Acoustic Pop...the list goes on!!! PointMade cleverly melds these genres together for an eclectic sound, blending popular tunes that span the great oldies to the top hits of today. 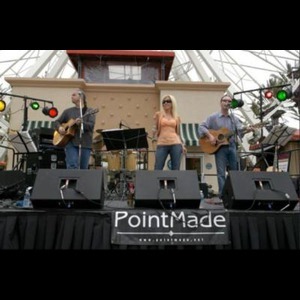 Based in Orange County, California, PointMade has been capturing the hearts of their audiences with their dynamic music and engaging performances at local coffee houses, restaurants, festivals and other popular entertainment venues. 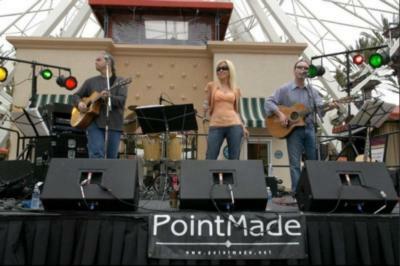 Let PointMade offer you or your business a pleasurable music experience. Please note PointMade will also travel to East Irvine, Lake Forest, Laguna Hills, Mission Viejo, Tustin, Aliso Vajeo, Santa Ana, Silverado, Laguna Beach, Orange, Rancho Santa Margarita, Trabuco Canyon, Newport Beach, Corona Del Mar, Costa Mesa, Laguna Niguel, Balboa Island, Balboa, Villa Park, Anaheim, Fountain Valley, San Juan Capistrano, Garden Grove, Atwood, Corona, Dana Point, Huntington Beach, Yorba Linda, Capistrano Beach, Midway City.